It used to be that we could generally trust that the grains and forages we fed to our livestock were reasonably safe, if not always of the same nutritional value. That all changed with the advent of GMO technology, and we are now forced to question the safety of almost everything we eat ourselves or feed to our animals. The main culprit is glyphosate. Most crops in the U.S. today, including corn, soybeans, beet pulp, molasses, corn syrup and alfalfa, are contaminated with glyphosate residues. Glyphosate is a strong metal chelator (for Ca, Co, Cu, Fe, Mn, Mg, Ni, N, K, Se, Zn) and consequently inhibits many plant essential enzymes. It increases susceptibility to drought and disease. It persists and accumulates in soils and plants with a half-life reported to be 22.5 years. 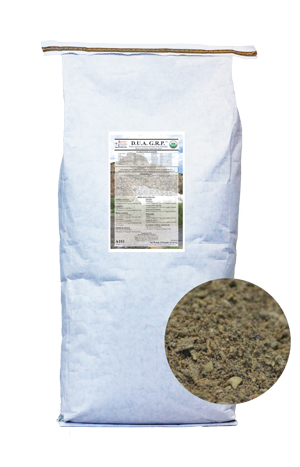 It is toxic to beneficial soil organisms which are needed to facilitate nutrient access, availability, or absorption of nutrients. It inhibits the uptake and translocation of Fe, Mn, and Zn at very low, non-herbicidal rates. 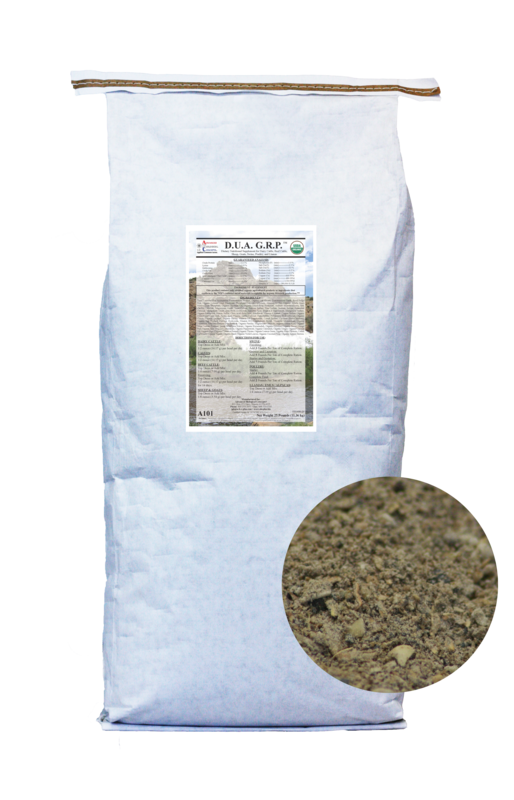 It stimulates soil-borne pathogens, such as Fusarium, and other soil microbes that reduce nutrient availability. It results in decreased nitrogen fixation. It reduces the physiological availability and concentration of Ca, Cu, Co, Fe, K, Mg, Mn, Ni, N, K, Se, and Zn in plant tissues and seed. It results in mycotoxins in stems, straw, grain, and fruit. It accumulates in food and feed products to enter the food chain as a risk to food safety. 1/2 ounce (14.17 g) per head per day. 1/4 ounce (7.09 g) per head per day. 1/2 ounce (14.17 g) per head per day for 14 days. 1/8 ounce (3.54 g) per head per day. Add 3 pounds per ton of Complete Ration. Add 5 pounds per ton of Complete Ration. Add 7 pounds per ton of Complete Ration. Add 4 pounds per ton of Complete Ration. Add 2 pounds per ton of Complete Ration.